Trekking through a rainforest may be the ultimate metaphor for tourism in Costa Rica. Surrounded by stunning natural beauty, the entire experience is geared equally to the traveler—young or old, able-bodied or with physical limitations, Spanish-speaking or not—and the preservation of the rich natural resources that put this Central American nation on the tourism map decades ago. While the commercial buildup of Costa Rica’s cloud forests and rainforests is everywhere, it is never at the expense of wildlife and the environment. Israel Córdoba, my guide at the Rainforest Adventure center just east of Jaco Beach on Costa Rica’s Pacific Coast, described that symbiosis of nature and industry as he clipped me into each of the 10 connecting zip lines that took me from the top of a lush mountain to the dense forest floor a thousand feet below. As I sailed past towering tropical ferns that gave refuge to toucans, sloths and kinkajous, I felt zero disappointment that this press trip involved not one major museum or tour of a national heritage site, even after I left the resort area of Jaco Beach for San José, the nation’s inland capital, where I would encounter Costa Rica’s prosperous Jewish community. Indeed, over 80 percent of the three million visitors who annually come to this peacefully democratic nation—wedged between Nicaragua to the north and Panama to the south, the Caribbean Sea to the east and the Pacific Ocean to the west—do so for outdoor adventure, including forest exploration, surfing and sport fishing. Another popular draw is medical tourism. Roughly 5 percent of visitors, most from the United States, Canada and the European Union, arrive for affordable, yet reputable, dental work, aesthetic treatments and other elective procedures. The history of Costa Rica’s robust coffee industry—a leading commercial sector along with tourism and the export of fruit—reveals a similar tale of corporate profit married to environmental sustainability. Café Britt, founded in 1985 by the Jewish, Bronx-born Steve Aronson, revolutionized the business when it started to roast beans within Costa Rica for local consumption, rather than export entire harvests. In 1991, Café Britt introduced the first coffee tour at its plantation in Barva de Heredia, just outside San José. There, I learned about both the lifecycle of the almighty coffee bean and the sustainable growing methods used by the company. And I got to sample a variety of blends cultivated from mountainous growing regions spread across Costa Rica. In a land renowned for its 12 climate zones, the terroir—a term also used in winemaking that denotes specific soil and agricultural conditions—of the beans lends unique flavors. Tarrazu, the region just south of San José, contains the Talamanca mountain range, the highest in the country. Beans grown there are the most prized in all the country, with top notes of cacao and grapefruit and an aroma of dark chocolate. Through its ubiquitous stores in luxury hotels, malls and airports that sell an array of coffee and chocolate confections as well as Costa Rican cigars and quirky native souvenirs, Café Britt exerts an almost proprietary role on the travel scene here. 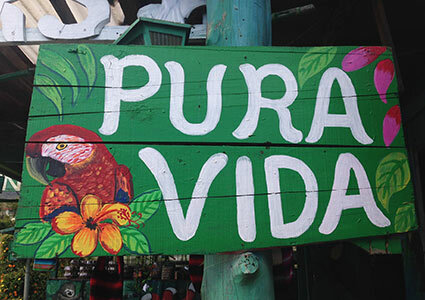 Don Steve, as he is known, has given a TEDx talk in his capacity as a quasi-ambassador for Costa Rica and its embrace of “pura vida,” a popular Costa Rican turn of phrase that exemplifies living your best, most pure life. Since 1997, the government of Costa Rica has encouraged sustainability among hotels by awarding the much-coveted Certification for Sustainable Tourism designation. As a guest of two Marriott properties that have earned the certificate—Los Sueños Marriott Ocean and Golf Resort in Jaco Beach and Costa Rica Marriott Hotel in San José—I appreciated the value placed on conservation. Most notably, the Los Sueños resort is involved in efforts to reintroduce the scarlet macaw to the area. To do so, Marriott has dotted the resort with tonka bean trees, a favorite nesting spot for the distinctive red-, yellow- and blue-feathered birds that have been disappearing from Central America. Yet, as was the case with my zip lining adventure, the “eco” part complements rather than defines the overall experience. These resorts function as luxury properties that happen to stress environmentally sound practices. What was stressed to me, as a travel journalist focusing on Jewish themes and itineraries, were the Marriotts’ kosher facilities and their outreach to the local, observant Jewish community. In fact, it was the chance to witness the preparations for the lavish wedding of society scions Alan Reifer and Jaya Zelcowicz at the San José hotel that brought me south from New York in December. Costa Rica is home to approximately 4,000 Jews, most of them descendants of the 300-plus immigrants from Zelechow, Poland, who arrived in the early 1930s looking for economic opportunity and fleeing the early warning signs of Nazi rule. For visitors to San José’s Museo de la Comunidad Judía de Costa Rica, the story of that immigration as well as the men’s early years as door-to-door salesmen—when they earned the Yiddish sobriquet “klappers” for the sound they made knocking on doors—unfolds through a series of archival photographs, informational panels and ritual artifacts. Treasured shofars, tallits and brit milah instruments testify to the earliest settlers’ adherence to religious life. The museum is the primary cultural attraction at the Centro Israelita Sionista de Costa Rica, a sprawling multiacre campus opened in 2004 on the outskirts of the capital. With 2,500 members, this is the main address for all things Jewish in the country—daily worship services, kashrut certification, mikvehs, day school education, senior programs and burial society. 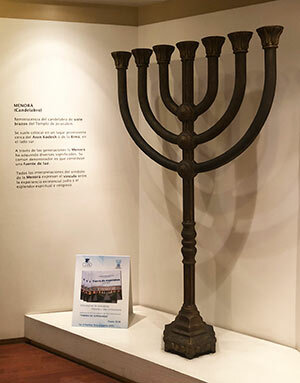 Knowing that Jews inhabited a lofty, rarified place in Costa Rican society, the centro’s impressive scale hardly surprised me: During my several days in the country, various tour operators and contacts alighted on the same word—“fancy,” used with reverence rather than as a slur—when struggling in English to describe local Jews, many of whom own prominent car dealerships, fast-food franchises and other successful businesses. Before enjoying an early Friday lunch at the centro’s dairy cafe, I met with Israeli-born Rabbi Itzhak Prober, the centro’s principal religious leader for the last five years, to get a feel for the Jewish scene today. Sitting at his desk, the floral-embossed ketubah for the soon-to-be newlyweds, Reifer and Zelcowicz, spread before him for review, Prober sketched a portrait of a thriving Jewish community that defines itself as particularly Zionistic and exceptionally insular. Indeed, getting into the fortress-like centro requires advanced arrangements and a brief interview with Israeli security personnel, safeguards that were put in place after the 1994 bombing of the AMIA Jewish community center in Buenos Aires. San José is also home to a Chabad house as well as B’nei Israel, a small progressive congregation mostly made up of American expats that serves around 90 families, but there is little communication among the groups. After Shabbat ended the following evening, when I took up sentry in the Marriott lobby to witness the guests’ arrival for the 8:30 p.m. chuppah ceremony, Prober’s emphasis on Orthodox religious protocol made sense. Women, dressed mostly in sultry high fashion and exposing plenty of skin, sat to one side of the aisle with the men on the other. The opulent reception—which lasted until 6:30 in the morning, with rounds of the hora and sensual Latin American dancing set to music provided by two bands and one D.J. flown in from Miami—featured strictly kosher food. Accompanying the fleishig buffet was a sumptuous dessert bar for which the families hired a kosher patisserie in Mexico City. Exquisite morsels of chocolate-robed halva and miniature bites of knafeh (“knafehsitos”) lent ostensibly Jewish flair to a mouthwatering spread of pareve confections. Kosher wine from Argentina and displays of smoked fish likewise set this celebration apart from other swanky Latin American weddings. Designed by leading Panamanian Jewish architect Susana Weisleder, the centro operates as a full-service Jewish community center. 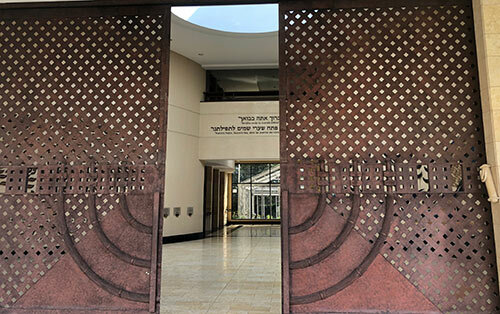 After passing through an entry gate more militaristic than aesthetic, visitors stand on a circular mosaic depiction of the Hebrew holiday calendar; above them, a Magen David-shaped oculus admits the bright rays of Costa Rica’s ever-present tropical sun. Angled stone walkways that mirror the branches of a menorah cut paths through an expansive green lawn, leading up to the stone columns and massive lattice wooden gates of the Shaarei Zion Synagogue. 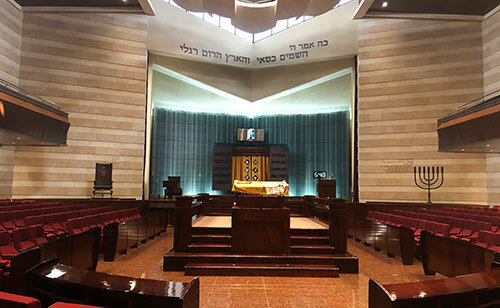 The two-story house of worship, with seating for women on the balcony level, is largely used for holidays, with weekly services held in the smaller beit midrash. The history museum, senior center, three mikvehs—for women, men and dishes—and social halls round out the facilities of the campus, whose exterior walls are enrobed entirely in Jerusalem stone. The Parque de la Vida, inaugurated in 2015, is a serene green space nestled next to the synagogue that features a gleaming metal sculpture of vertical cylinders erected to honor the community’s approximately 200 Holocaust survivors. Advance arrangements are a must to visit the centro. 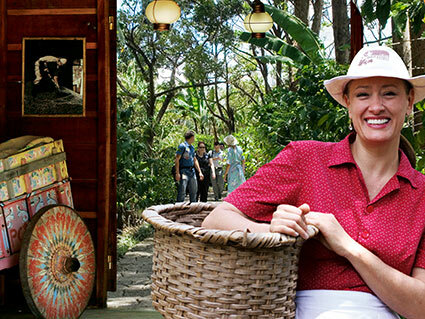 This outdoors outfit offers itineraries to suit a variety of activity levels in its two ecological parks in Costa Rica. For the most fit, there are zip lining courses, waterfall climbs and sky bridges to traverse. 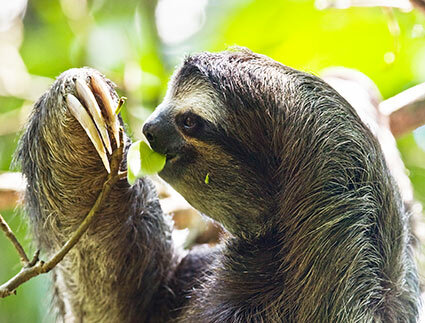 An aerial tram that takes passengers up and down a rainforest mountain—akin to an enclosed ski gondola—is a popular, seated option for those with physical limitations who nevertheless want to get up close to incredible flora and fauna. When I visited the Jaco Beach park, I encountered busloads of seniors who had disembarked from cruise ships in Puntarenas—an hour north of Jaco Beach—for a day of thrilling rainforest exploration. For adrenaline served in a cup, book yourself on one of the dozens of coffee plantation tours scattered throughout the country. 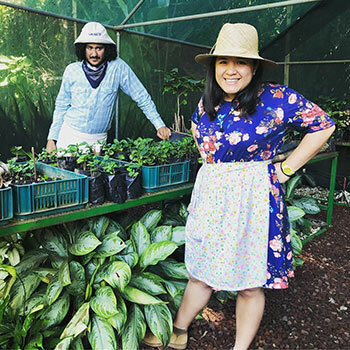 In the environs of San José, Café Britt’s coffee tour, at the company’s original headquarters about a 15-minute drive from downtown, is one of the most popular and takes visitors through the coffee cycle, from the planting of a coffee seed to harvesting, roasting and distribution. Café Britt’s unflavored coffees are all certified kosher, but their flavored brews and chocolate candies are not. Stretching from December to April, Costa Rica’s dry season is the most popular time to visit. If you’re on a budget, and don’t mind getting a little wet, consider timing your vacation between May and November. The Costa Rican Tourism Board provides a good introduction to planning a vacation. On the culinary front, gallo pinto—the traditionally vegetarian national dish of rice and beans—appears on breakfast, lunch and dinner menus. While in Costa Rica, take advantage of the fresh fruit, including locally grown pineapples, mangos, papayas and bananas. For kosher travelers, the Centro Israelita Sionista de Costa Rica runs an onsite dairy cafe and bakery as well as a meat restaurant; it also supervises the nearby Kosher Center restaurant. The Costa Rica Marriott Hotel in San José and the Los Sueños Marriott Ocean and Golf Resort in Jaco Beach—the resort is just over an hour’s drive west of the capital—house purpose-built “cocinas kosher,” tiny kitchens capable of turning out hundreds of meals under the supervision of the centro’s mashgiach. The kitchens currently handle large-scale events (kosher destination weddings and mitzvah celebrations) rather than meals for individual travelers, though each establishment can liaise with the centro to arrange for kosher food. Nestled among the slopes of a valley in San Lorenzo, an hour and a half north of San José by car, Lands in Love Hotel is a charming, rustic, bungalow-style resort opened in 2005 by a group of Israeli friends. The dining room features vegan and vegetarian cuisine, with numerous Mediterranean highlights. Surrounded by cloud forests and rainforests, its Adventure Center offers extreme zip lining, waterfall rappelling, white water rafting and horseback riding. Libby Barnea, the associate editor of Hadassah Magazine, was a guest at two Marriott properties in Costa Rica last year.